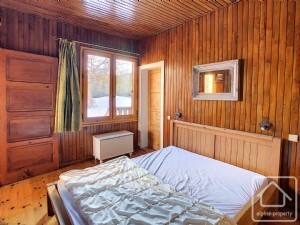 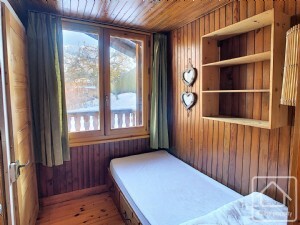 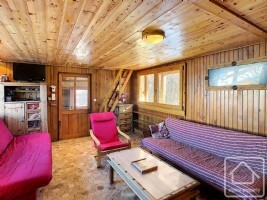 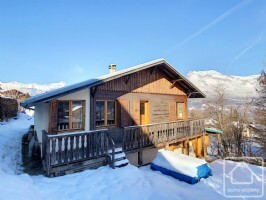 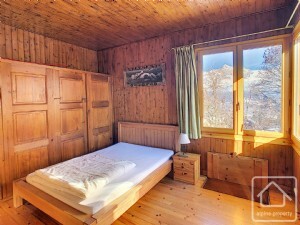 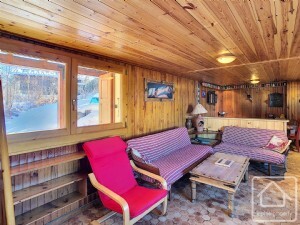 This cosy chalet, on 2 levels, offers fabulous views of the Mont Blanc massif, as well as the Aiguilles de Warens and the Aravis mountain range. 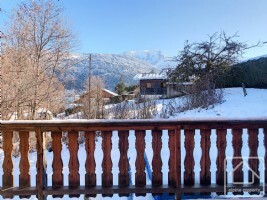 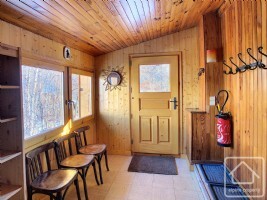 The chalet comprises : a short staircase leads to the balcony and entrance door, opening into an entrance hall which leads into an open plan living space with kitchen. 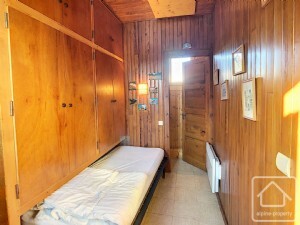 On the first floor there are 3 bedrooms in a row, plus a coin nuit’, shower room and separate WC. 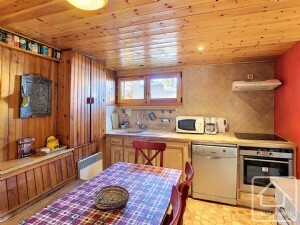 There is a large 7m2 cave/cellar, accessed from the outside and a garage for 2 cars.